Danielle Panabaker has been an actress since her teenage years. Her appearance in Disney’s Sky High in 2005 made fans truly believe that she was born to play a superhero. She’s appeared in many films and TV shows including Empire Falls, Bones, and Shark, as well as the horror movies Friday the 13th and John Carpenter’s The Ward. However, DC fans know and love her for her portrayal of Dr. Caitlin Snow, who first appeared as a guest star on Arrow, but successfully transferred over as of the core characters in the incredibly successful CW spin-off series The Flash. Caitlin has become so beloved that she has made numerous guest appearances, returning to Arrow and even appearing in the “Arrowverse” shows Supergirl and DC’s Legends Of Tomorrow. 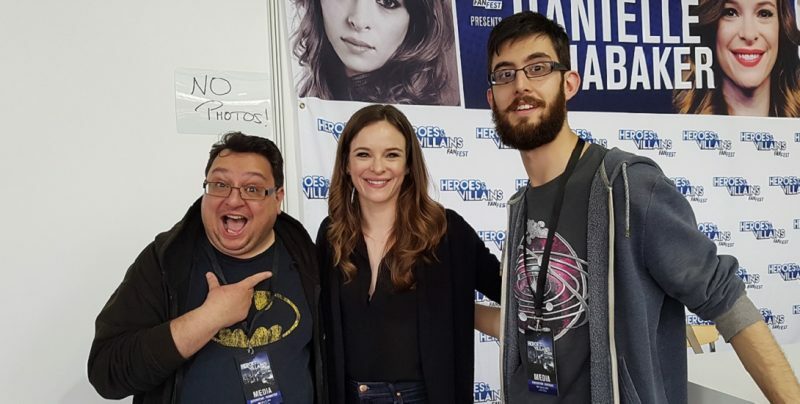 She supports many noble causes and charities and was one of the many stars who attended the second annual Heroes & Villains Fan Fest in London back in May. Not only is she an extremely talented actress, she will also be directing an episode in the upcoming fifth season of The Flash! Ms. Panabaker is in huge demand. Her panels were packed, and she was booked for numerous interviews and appearances while in the UK. As DC World’s reviewer for The Flash, I was fortunate enough to be granted a phone interview with her, ahead of her appearance at the convention, as well as the chance to meet her there. WARNING – This interview contains spoilers for the end of season 4 of The Flash. Friday May 25th 2018. 11:15am UK time. My phone was ringing. I’d known the call was coming since the previous evening, but was still adjusting to the surreal nature of this particular conversation. It didn’t truly hit home until I tapped the green button on my phone screen and that, oh so familiar voice knocked me back into the real world. This was indeed happening. The HVFF organizers had asked me to prepare a list of questions for Danielle, which she was generous enough to answer. So… here we go. Danielle Panabaker: Hey, this is Danielle Panabaker calling for Steve. SJR: Hi, how are you? DP: I’m good, and you? SJR: I’m very good, thank you. Are you in the UK, or are you calling from America? DP: I’m here now for a convention. The convention starts tomorrow. 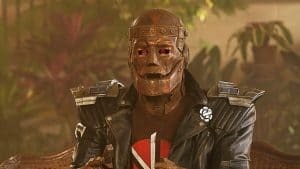 I’m suffering from a bit of jet lag. SJR: Not the best feeling, I know. Thank you so much for sparing some time to talk with us, this is amazing. So, you’ve seen the questions already? DP: Yes. 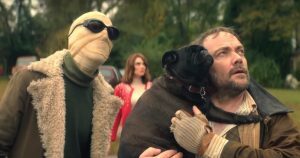 They sent them through to my agent, and they all seemed fine, so… I saw them briefly. SJR: Welcome to London. How are you finding it so far? DP: So far it’s been great! It’s not raining, and I’m excited to get out and explore a little bit. 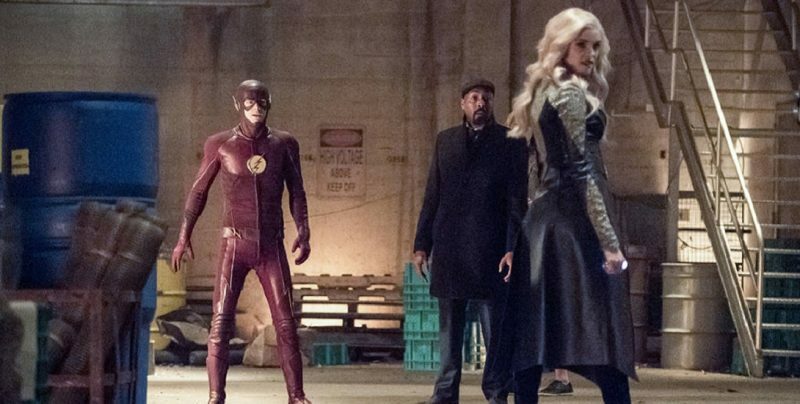 SJR: I review The Flash every week, and this season has been incredible. 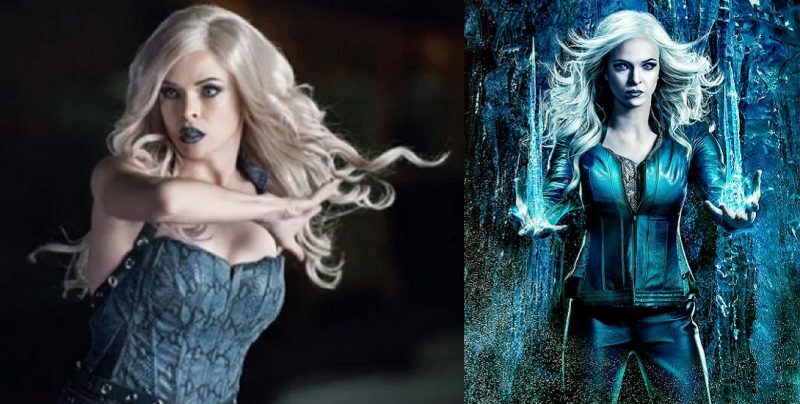 You play two roles… Caitlin, and Killer Frost. How does it feel being able to stretch your acting muscles that way? DP: It’s been fantastic! I’m really grateful for the opportunity. We’ve made 92 episodes of this show now, and typically when you do something like that, you just play one character. It’s been great to play Caitlin, and see her grow, and evolve. Then the new challenge and excitement of having Killer Frost as a part of her as well has been a lot of fun. SJR: The relationship has really started to grow between both sides of the character in season 4. Do you think we’ll be seeing more of this in season 5? DP: I think one of my frustrations this year with season 4 is it felt like, about halfway through the season, they were so excited to have Killer Frost fighting (alongside) the team, that they didn’t slow down and explain how that happened… how that transition was made. 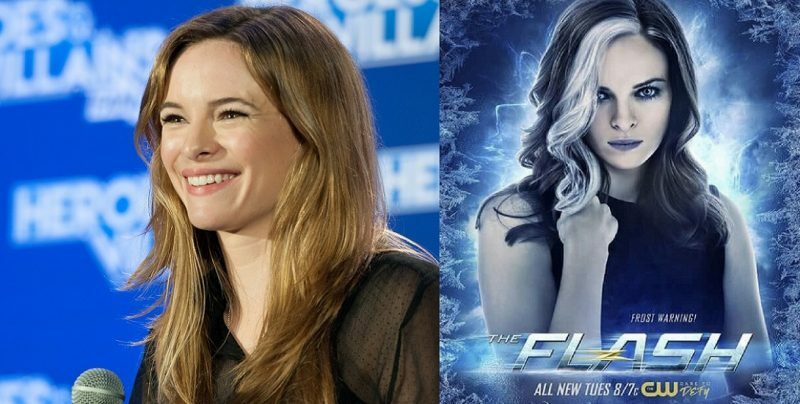 My hope is, obviously for starters, that Caitlin will figure out how to get Killer Frost back in season 5, but also that we’ll get a little more time exploring their dynamic. SJR: That amazing scene showing Caitlin as a child, and the accident with her bike. Seeing the face reflected in the handlebar mirror actually being that of Killer Frost… that blew me away! DP: That was a nice little surprise. I was really happy that they were finally taking the time to explore Caitlin’s history and her past a little bit more. SJR: I’ve been a fan of the show since the very beginning, and you’ve been there since day one. We, as viewers, really feel that you’re all one big family. What’s it like working everyday with those guys and girls? DP: The dynamic has certainly changed over the last four years. I think coming into the show, for a lot of the actors it was their first job, and they were really excited to be there. This has certainly changed, four years later. We are like a family. We do love each other, but no-one’s perfect [we both laugh] and we certainly have our issues too. SJR: So, who’s the biggest joker? DP: Definitely Tom Cavanagh! We’re so lucky to have Tom, he’s such an experienced veteran, and he has such incredible energy that he brings to the set. When he’s not around I really notice it, because he really brightens our day. SJR: We know that Batwoman’s joining the team next year, at least for the crossovers. How do you feel about that, and what other comics characters would you like to see on the show? DP: Do you want to know what’s funny? You guys have more information than we do. SJR: (We both laugh) Really? DP: (Laughing) Really… I saw Franz [Drameh]* this week and there’s a lot of misinformation out there, because no-one’s sat down and explained to us what’s happening. Obviously, we’re on hiatus right now, and will be for another month, or so. Then, when we get back to work I’m sure I’ll have more information about what’s going on next year for season 5. I do feel like over the last couple of years, however, we have introduced a fair number of characters. I think it would be nice to start to see some of them come back as well. SJR: Great answer! Who would you like to see return? DP: I think Trajectory was awesome! I know we’re starting to stay away from speedsters, but I thought she was a really nice addition to the show. DP: Obviously Seeing Mark Hamill come back as The Trickster is something we always want. DP: I thought Mirror Master… Mirror Master is a big villain for The Flash in the comic-books, and I feel like they didn’t get to fully explore his character. So, hopefully they’ll get to do that at some point. SJR: Yes, he’s one of the biggest! So, it’s clear you’re well versed in Flash lore. Before working on the show, and since… what’s your relationship been like with comic-books? DP: Before The Flash I didn’t know anything about comics, so it’s been an incredible education. I’m still the first one, whenever they say “Oh, it’s X, Y, and Z” I am the first one that has to Google and try and research just who that is. [We both laugh] The number of times I’ve leaned over to Carlos [Valdes] and said, “Who’s that?” is too many to count. SJR: [We’re both laughing] So many heroes. You were an amazing hero yourself, in Sky High, so, thanks again for that. DP: Awww. Again, that was… I feel so lucky to have been a part of that. That was a really special cast, and a really talented group of people. SJR: Are there any actors that you’d like to work with? DP: I’d like to spend more time on Supergirl. I think that show has such incredible women. DP: I’ve worked with Melissa [Benoist] a couple of times, but not in any sort of meaningful way. I’d love to go over there and interact with those ladies a little bit more. SJR: Fantastic! The fans would love to see that too! So, to wrap up, I’ll close with the question I always try to work into my interviews. I get many varied and different answers for this one. Obviously you’ve been asked thousands of questions over the years, but is there one question that you wished someone had asked you, but they never did? What’s that question and what’s the answer? What would you like your fans, and our readers to know about you. Danielle. The person. DP: I don’t know if I have a question that I’d specifically want to be asked, but I do think it’s important to keep giving back. It’s something that I try to do in my personal life, and hopefully I can inspire those who are fans of the show and fans of mine, to continue to give back as well… in whatever capacity speaks to you. I volunteer a lot with non-profit organisations, like The Art Of Elysium, and I’ve worked for The Young Storytellers Foundation and UNICEF for years. Those are the organisations that speak to me. Hopefully everyone can find the program that speaks to them, and try to give back in whatever way they can. SJR: That’s amazing. That’s inspiring because you’re really giving so much outside of acting to support and help others that need you. It’s quite fitting to your character in a way. I see a lot of you in Caitlin. She is a big, big part of the show. We, as fans love her for many reasons: For me Barry is the arms and legs of team Flash, with Iris and Joe. Cisco may be the heart and Harry may be the brains… but Caitlin is like the nervous system, the spine, and rib-cage that protects, and keeps it all together and functioning. Working as an inspiration with your work, as well as outside of it is truly incredible. DP: Wow, I appreciate that. Thank you. SJR: Speaking to you has been an absolute joy. Thank you so much. DP: It’s my pleasure. Thank you for watching the show, and for being such a good fan. SJR: Hopefully I’ll be able to say hello in person over the next couple of days, as I will be at the Fan Fest this weekend? DP: Oh, perfect! That’s awesome…. see you soon. The call was over, but what was discussed still resonated. As viewers, we all really fall in love with these on-screen characters. Caitlin Snow is one of those that has suffered the greatest losses over the years, but she gets up, she keeps fighting the good fight, and she’s the backbone of her team. Her character is so strong that even the darkness inside her, personified by her Killer Frost alter-ego, seems to have come over to the side of the angels too. Caitlin Snow is an inspirational character, but I believe that this is largely down to the fact that the lady who plays her on screen is an inspirational human being. Look out for my interview with Gotham‘s Robin Lord Taylor and Cory Michael Smith over the next couple of days, and please be sure to check out my other Heroes & Villains interviews, with Kirk Acevedo (Arrow), *Franz Drameh (DC’s Legends Of Tomorrow) and Drew Powell (Gotham).